As perhaps the world’s only artist-photographer who works exclusively from a helicopter, Dale Fisher sees the world as few others do. Combining artistic vision with his unique perspective from above, Dale transforms such subjects as freeways, construction sites, rooftops and parked vehicles into colorful graphic patterns. By working with color, light and shadows — all while skimming over his subjects at ground speeds of up to 120 miles per hour — Dale optimizes the perfect setting of each subject. All images are available for purchase as framed photographic art, for use in printed materials or on websites. An extensive collection of other Open and Limited Edition photographic art from Arizona, Florida, Hawaii, Michigan and New York are also available. Dale Fisher grew up in Ann Arbor, Michigan and currently resides on a 200-year-old farm in Grass Lake. While the Eyry of The Eagle farm holds many tales itself — its 100 acres of woods, water and fields is home to Dale’s galleries and a reception and retreat center. The experience and achievements of Dale could also fill volumes! The condensed version of Dale’s life, at least the parts pertaining to his talent as an extraordinary aerial photographer began when Dale headed off to join the United States Navy where he began shooting (with a camera) from the skies as an aerial reconnaissance photographer. Upon his return home, he worked as a photographer at the Ann Arbor News. 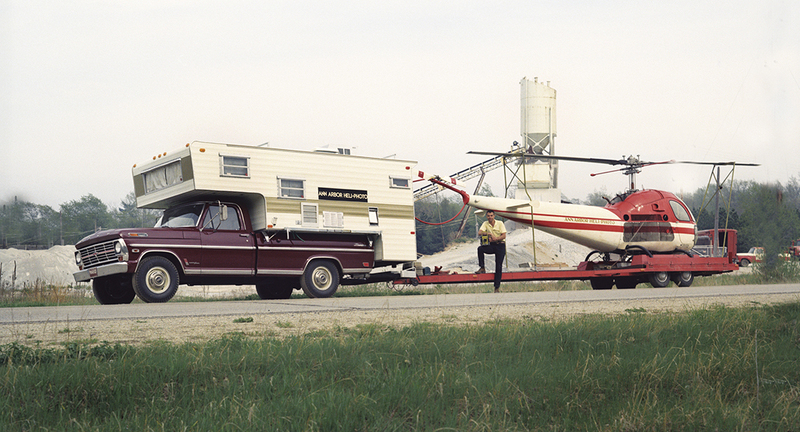 Jump ahead to the 1960s, and you could find Dale traveling the country in a Ford pickup truck with a camper top darkroom, towing a rather lengthy trailer with his helicopter aboard! He captured many stunning art images that are in collections today across the country. 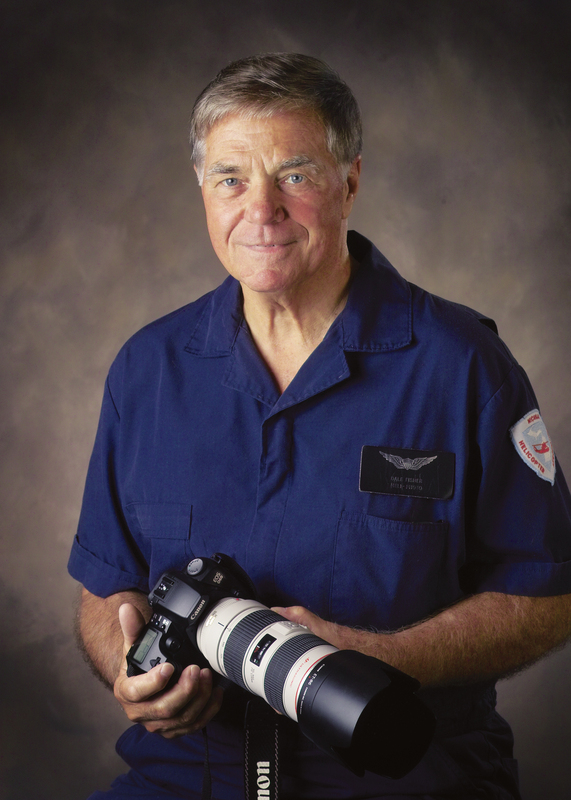 With the onset of digital photography, computer and printing technology, combined with his state of the art framing shop, Dale is able to take the photograph, edit the image and supply the finished printed piece in the same day. Contact the Dale Fisher Galleries for current prices and additional information.